Rehabilitation is a crucial element on your way to recovering from an injury or surgery and getting you back to (or even better than) how you were before. There are a vast number of professionals claiming expertise in the domain of physical rehabilitation. 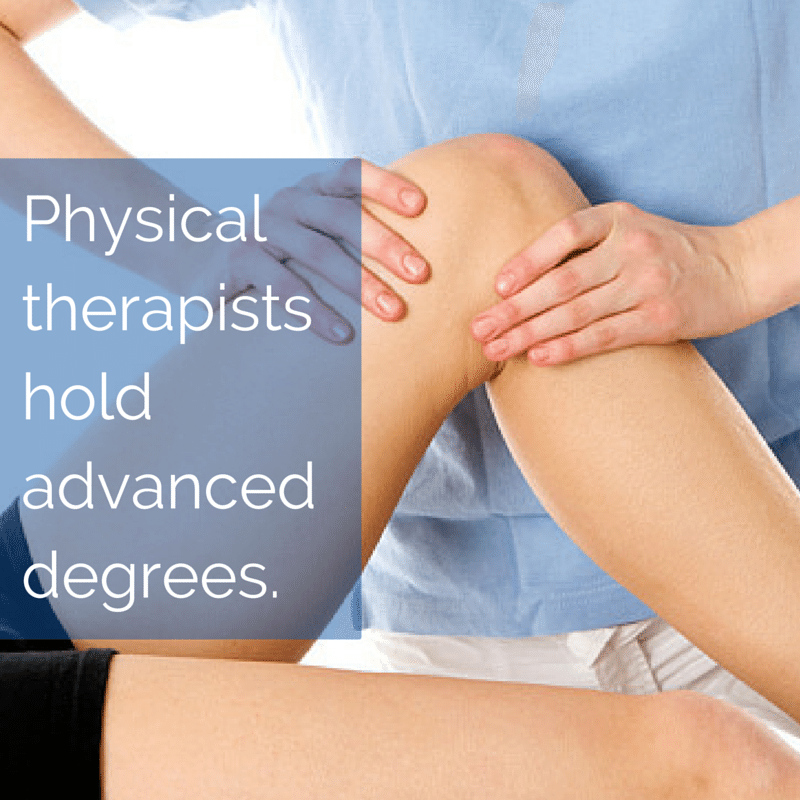 However, the best trained and most qualified of those is a physical therapist (PT). Deciding on a PT can be challenging, if you’ve never done it before and don’t really know what to look for. In this article, we’ll highlight the ten most important things you need to know before choosing your PT to ensure you maximize your chance for a full recovery and return to pre-injury function. According to the American Physical Therapy Association (APTA), the single most important factor in choosing a PT is to ensure that he/she is a licensed physical therapist. In order to practice, all physical therapists need to have a degree from an officially recognized physical therapy program and must have completed their national licensure examination. Your therapist may work with a physical therapy assistant (PTA) when providing your care. PTAs are also qualified, certified professionals. Different outpatient clinics offer various kinds of specialization, such as sports medicine, back and/or neck strain and joint replacement. Their PTs may offer special skills and additional areas of certification, ranging from paediatric care to geriatric patient therapy. Call and visit as many clinics as you can, to get as much information as necessary for you to make an informed decision. Larger practices will often segment their offices in this manner as well. For example, they may have a location focusing on geriatric therapy and another where hand or occupational therapy is a specialty. Physical therapy is a partnership that involves constant dialogue between therapist and patient. It’s imperative to work with someone that you have a good rapport with, and someone you feel comfortable with. As a patient, you’re also responsible for your healing process, and your chances for a full recovery will be greater if you have a strong and trustful working relationship with your therapist, and be able to follow their advice. Open and honest communication is key. It’s important to find out from any perspective clinic if you’ll be seeing the same physical therapist for every visit. Consistency is key here. Imagine sending your car to a different mechanic every week in order to rebuild the engine! You should always feel that your PT is giving you their full attention, is present and calm. The last thing you need is a PT that’s running around tense and distractedly between patients. If you ever feel uneasy or if an exercise or treatment is uncomfortable, you should voice your concern. The best PTs use their hands to mobilize, catalyze and improve function that can’t be attained by stretching or strengthening alone. These hands on skills allow scar tissue to heal more effectively, and alleviate areas of inflammation and pain. Powerful and gentle hands are the best combination. You’ll be an active participant in your rehabilitation process. Therefore, it’s vital that your PT provides you with well-developed and detailed instructions for exercises to do on your own. These may include handouts, videos, or links to online videos that demonstrate the proper movements. It’s the PT’s job to ensure you’re doing the rehabilitation exercises correctly. 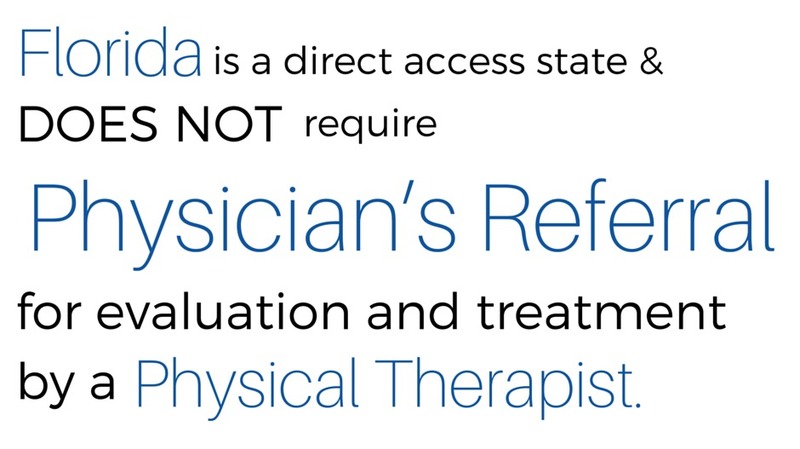 Finding a physical therapist that is APTA Board Certified in a specialization related to your problem can be highly beneficial. Many physical therapists devote themselves to the study and practice of treating specific areas of the body, such as the back, neck, knee, hands, or shoulders. They may specialize their practice on pre or post-operative care, sports injuries, car accidents, stroke rehabilitation or neurological conditions. The APTA has established seven specializations: Cardiopulmonary, Clinical Electrophysiology, Geriatrics, Neurology, Orthopedics, Pediatrics, and Sports Physical Therapy. Pinpointing a facility that is properly equipped to provide quality services is paramount. While most outpatient physical therapy clinics possess basic therapies (thermal, sound and electrical therapeutics), some have more up to date equipment and exercise machines than others. A clinic’s hours of operation are a key consideration. Many physical therapy regimes require a patient to visit the clinic two or three times per week for up to several weeks. If, like most, you have a busy schedule, availability of appointment times, as well as extended and/or weekend opening hours can be vital to your choice. If health insurance is an important consideration for you, make sure your physical therapist’s clinic participates with your insurance program and company. You shouldn’t pay more than you have to in order to receive care from a physical therapist. Your first visit to an outpatient physical therapist should include a thorough evaluation by your PT. Your physical therapist will obtain your medical history, perform an examination to identify current and potential problems and functional limitations, and find out what your goals are. They will then sit down with you and set up a realistic and concrete plan to get you back on track. After a serious injury or surgery, you want the best physical therapist in your corner to get you back to 100%. The process of selecting one can be daunting at times, and the way to find the ideal PT is to do your homework. First and foremost, a physical therapist should possess excellent interpersonal skills and be passionate about caring for patients, to enable and inspire them to be the best they’ve ever been. Ask questions and do your research. It’s your right to get all the information you can before making a final decision.